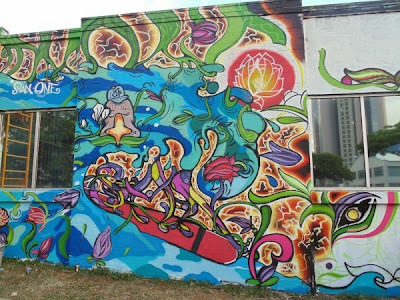 Here is another Pow Wow Hawai mural on the Friends of the Library building on Poukaina Street in Kakaako. This one is by San One though I could not find any more information on the artist. 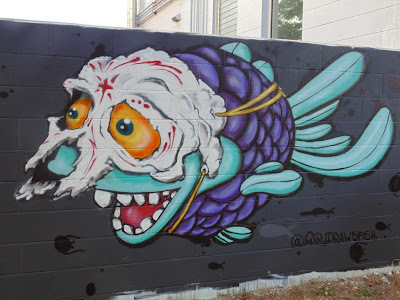 I was intrigued by the color and design of this mural. Join us next week as I will share some Cherry Blossom in Hawaii photos. Believe it or not you don’t have to go to Japan to see some of these trees. 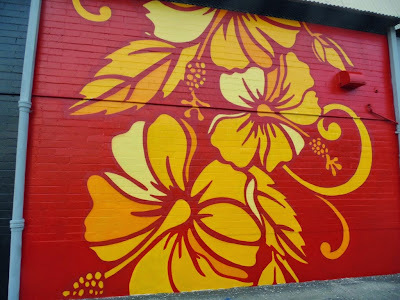 We continue our Pow Wow Hawaii 2015 series with this hibiscus mural by David Flores. 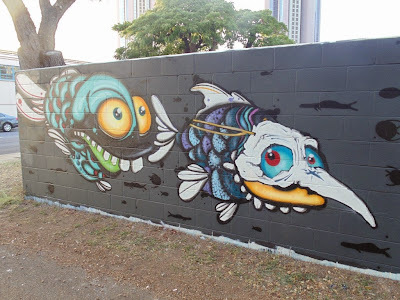 This artwork can be found on the Fisher Hawaii building directly across Mother Waldron park on Pohukaina street in Kakaako. I like how the flowers really stand out against the background colors. If you walk along Pohukaina you can see many of the Pow Wow murals.